Why should I sell used philosophy books to WeBuyBooks? 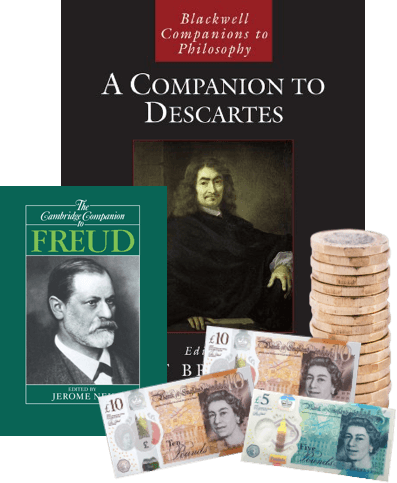 Agency and free will are two of the subjects examined by philosophers, and here at WeBuyBooks, we understand that everyone has the choice to sell their used philosophy books however they like, but we have to admit, we think it’s wisest to sell your books to us! Our selling process is without the hassle that comes with selling on auction sites – we provide you with an instant valuation for your used philosophy books, so you’re always in the know about the finished amount you will receive in exchange for your items. 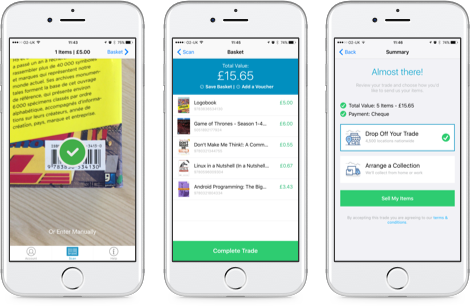 Plus, we give you a prepaid postage label for sending your books to us, which means you won’t get caught out by complicated postage costs. And if that doesn’t sound good enough, we even pay you the very next day after we have checked your used philosophy books… so you can rest assured that your cash will be in the bank quickly and safely. Sell used philosophy books on the go with our mobile app! It transforms your phone’s camera into a clever scanning device, meaning you can get valuations for your used philosophy books whenever and wherever. So, even if you’ve got piles and piles of used philosophy books to sell, it won’t take you long to swap them for cash! The whole process takes minimal time and effort, leaving you plenty of available headspace to carry on studying those big questions! 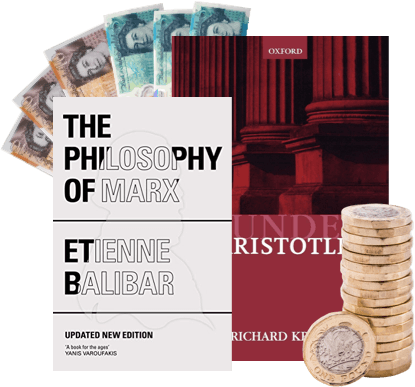 Thus, if you’ve got unwanted philosophy books on the work of great philosophers such as Marx, Jung, Aristotle, Descartes and Hobbes (to name a few), start exchanging them for some extra cash today! Send your Philosophy Books, DVDs, games and CDs to us and we’ll send you some money. Less clutter at home and more money – what’s not to love about that? So don’t wait – sell online today with We Buy Books. If you’d like some extra help, then please don’t hesitate to get in touch. Just give us a call on 01706 248281.